Four times out of five when I told people that I was going to a Tarot conference in New York this April, I was met with dubious looks. I often had to explain that yes, this IS a real thing. And yes, now I know, it is REALLY real. My head is still somewhere up in the clouds, it’s a powerful thing, being surrounded by your tribe and immersed in your passion. This year was my first time at the Readers Studio, a three day conference that brings together Tarot readers, teachers, professionals, icons and amateurs for Tarot study and fun. I knew that Tarot people who I admire, learned from, and put up on a very high pedestal would be there, and I was nervous. Upon arrival I quickly realized that the environment was so welcoming and supportive, and there was no need to worry. I’d like to thank Ruth Ann and Wald Amberstone for creating this annual Tarot homecoming, and also all of the participants who made this such a transformational experience. Ellen Lorenzi-Prince, creator of the Dark Goddess and Minoan Tarot decks (which I ADORE, by the way) presented first, speaking about the four ancient elements and elemental energy in the Tarot. She took us on a deep exploration of fire, water, air and earth and led us to expand our understanding of the role these elements play in a reading. 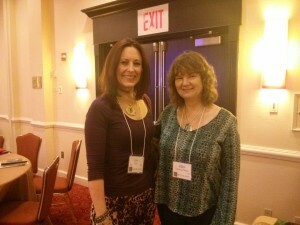 Ellen’s gentle yet formidable presence helped me to deepen my connection with the Goddess and these forces. 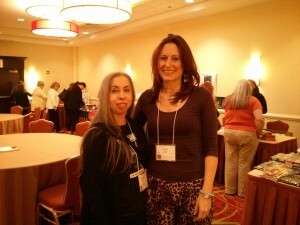 Theresa Reed, The Tarot Lady, totally rocked the house with her presentation on How to Read Tarot Under Any Circumstance. She taught us practical techniques to help us remain calm and centered, so that we would be able to conduct a professional Tarot reading even in the midst of chaos. Theresa gave us an impromptu live demonstration of her skills as she suffered technical difficulties throughout her presentation! Despite these frustrations, she had us in the palm of her hand with her Tarot horror stories and how she learned to keep her cool. Theresa Reed, The Tarot Lady, rocked it at RS 2015! Carrie Paris, creator of the Magpie Oracle, took us to a magical place of spontaneity, where we let divination just flow, rather than trying to force or direct it. She helped us to explore our soul’s purpose, and to cherish and honour ourselves a bit more. She reminded me that I need to build a bridge in my practice, to find balance between the beautiful magic and mystery of the Tarot and the practical side of running a Tarot business, without neglecting either one. She is a force, unique and mystical. The main presentations all took place in the Ballroom of the hotel, with all 225 or so participants taking part. I loved this bright, open and communal approach but as an introvert I have to admit that I got overloaded at times and felt a real need for grounding. As such, I was so grateful for the thoughtful inclusion of a meditation room for Readers Studio attendees. 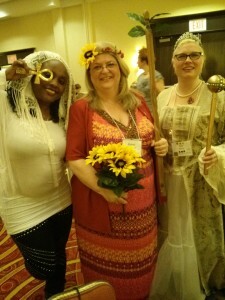 The morning guided meditation centred on the Moon, led by Carolyn Cushing, provided the quiet, inward time that I needed, and the beautiful closing ritual conducted by Carolyn, Nancy Antenucci and Mellissae Lucia helped to ease my transition back into the wide world. 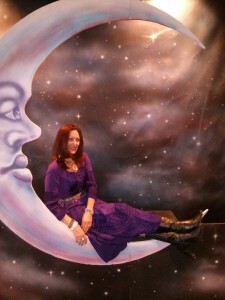 In my experience, most Tarot people are down to earth as well as spiritual, and know how to blow off steam and have a good time. On Saturday night people came in Tarot costumes, Renaissance wear and other finery to the Readers Studio banquet, followed by the first (of many) dance party/Tarot rave. When the conference wrapped up, I was highly emotionally charged. Depleted yet full. Close to tears. So, to avoid bringing my experience to a final close, I headed into the big city for a little sightseeing and decompression with my husband, Matthew, who joined me on the trip. 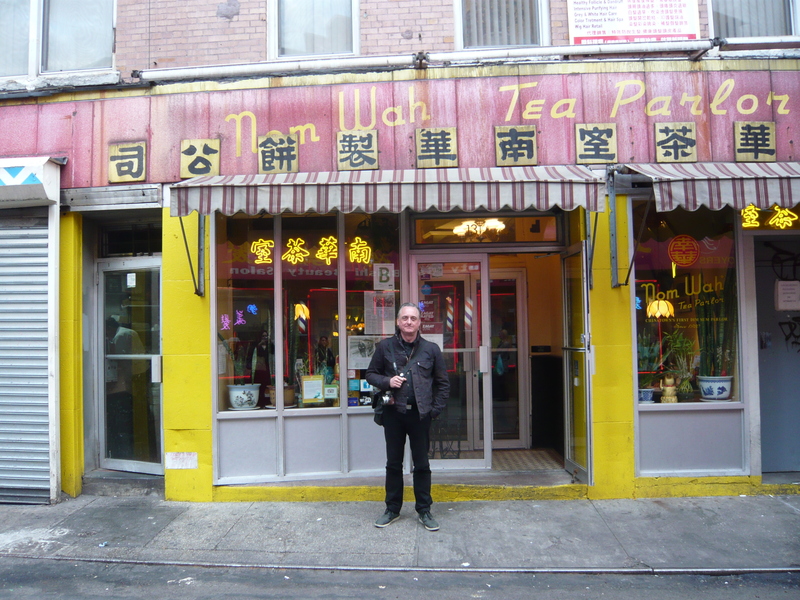 We had dim sum at the Nom Wah Tea Parlor (which we never would have discovered without a lovely expert local advisor and Tarot friend) wandered Chinatown and Little Italy, and caught glimpses of iconic architecture. The theme of the weekend for me was building bridges, finding balance. Keeping the magic of the Tarot, which is why I got into this in the first place, while staying practical and grounded and building a business. If you love Tarot and are thinking about coming to Readers Studio 2016, just do it. Don’t over think it, just listen to your intuition and if you get the green light, book that flight. If this would be your first time, don’t worry, you will find yourself surrounded by your tribe. Have you been to Readers Studio or plan to come next year? I’d love to hear your comments, and please feel free to contact me if you have any questions or want to hear more.